Amazing things you can do with your S'N'B nail polish. 21 Feb Amazing things you can do with your S’N’B nail polish! Who would have thought that you could achieve such amazing results using your nail polish of all things? 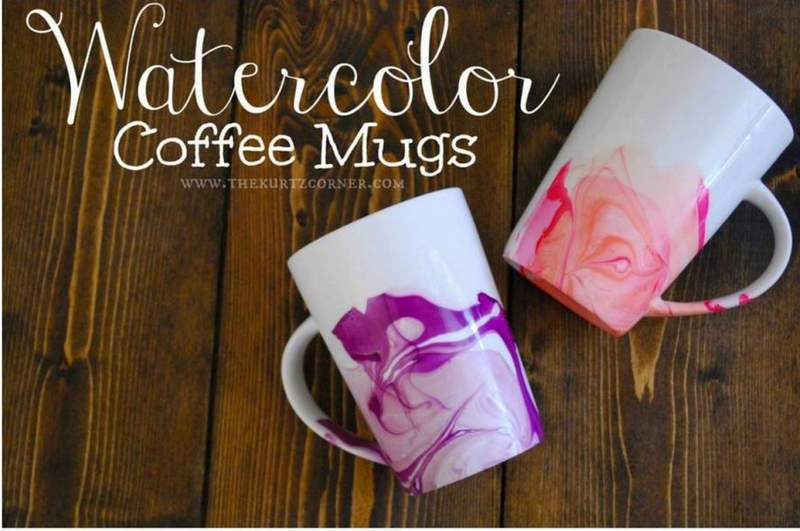 Create amazing designs on your white mugs. It’s true, and don’t they look absolutely amazing! These Coffee Mugs make beautiful homemade gifts. Be mindful, they don’t hold up the best in the dishwasher. Making your Nail Polish Swirl Coffee Cup is easy. All you need is warm water, a toothpick for swirling and some of your favorite nail polishes. The Nail Polish will sit on the top of the water and you can use your toothpick to create an effect you are happy with.You will need to work with some speed as the Nail Polish dries quickly and you can end up with a film on top of the water. Now you simply dunk your coffee mug into the water and then lift it out. Now you will be able to see your beautiful pattern.